[page 9] Thorn Gunn has written powerfully of the "occasions" of poetry. Science has its occasions no less than art: sometimes a dream-metaphor, like Kekule's snakes; sometimes an analogy, like Newton's apple; sometimes a literal event, the thing-in-itself, which suddenly explodes into unimagined significance, like Archimedes's "Eureka!" in his bath. Every such occasion is a eureka or epiphany. Sacks loved the way that A. R. Luria wrote stories based on his personal experience and neurological condition, particularly in his The Man with a Shattered World, and called this way of writing a neurography, coining a word for a genre that Sacks himself was to begin specializing in. (Page 11) Methinks Oliver would like the word used as a subtitle to this book. Basically, if you are to write a biography of someone, you need to get into their life, but if you are to write a neurography, you must get into some neurological disorder, and in this case Sacks had some neurological disorder get into himself. As the accident and its recovery ensued, we find Sacks as both a doctor and a patient, a much more patient doctor than patient. If someone told us, "I feel ill", we would never respond "You're having a eureka moment", up until now. But, rightly understood, in the science of medicine, its "occasions" or "eureka moments" are illnesses and injuries, and we can learn from them as much about human beings as Kekule learned about organic chemistry, Newton about gravity, and Archimedes about physical density. [page 9, 10] The occasions of medicine are provided by sickness, injury, patients. The occasion of this book was a peculiar injury, or at least an injury with peculiar effects, resulting from an accident on a mountain in Norway. A physician by profession, I had never found myself a patient before, and now I was at once physician and patient. I had imagined my injury (a severe but uncomplicated wound to the muscles and nerves of one leg) to be straightforward and routine, and I was astonished at the profundity of the effects it had: a sort of paralysis and alienation of the leg, reducing it to an "object" which seemed unrelated to me; an abyss of bizarre, and even terrifying, effects. I had no idea what to make of these effects and entertained fears that I might never recover. I found the abyss a horror, and recovery a wonder; and I have since had a deeper sense of the horror and wonder which lurk behind life and which are concealed, as it were, behind the usual surface of health. Lacking any insight or reassurance into his leg problems from his doctor, Sacks wrote to Luria, who replied that "Such syndromes may not be rare, but they are rarely described." (My paraphrase) Sacks set out to investigate Luria's claim, found it to be true, and began to describe such syndromes, beginning with his own alienation from his leg during recovery from the operation which re-attached his quadriceps, an operation which restored the muscles and nerves of one leg, but left Sacks curiously disabled. Sacks interviewed hundreds of patients with similar disabilities after operations who were met with similar nonchalance and lack of understanding from their doctors. This book was written as much for the doctors as the patients — neither of whom, rightly understood, had a leg to stand on — the doctors lacking the ability to understand the patients' dilemmas and the patients lacking the ability to communicate with their doctors. Sacks, a qualified doctor, found that even he could not communicate his own recovery dilemma with his surgeon until after he had completely recovered the function of his leg. Sacks was climbing up a 6,000 foot mountain overlooking a fjord in Norway when he encountered a sign, "Beware of Bull", at about 3,000 feet and decided this must be a prank, that no bull could be pasturing this high, so he went through the gate and continued climbing until he turned a corner on the narrow path and there was a huge white bull sitting down blocking the path completely. When it turned its face to Sacks, it seemed to turn into a monster and evil devil. Sacks turned around headed down the path, but suddenly he lost his nerve and began running lickety-split down the steep slippery path and suddenly found himself lying at the bottom of a rocky cliff. The doctor part of him took over. [page 21] My first thought was this: that there had been an accident, and that someone I knew had been seriously injured. Later, it dawned on me that the victim was myself; but with this came the feeling that it was not really serious. To show that it was not serious, I got to my feet, or rather I tried to, but I collapsed in the process, because the left leg was totally limp and flail, and gave way beneath me like a piece of spaghetti. It could not support any weight at all, but just buckled beneath me, buckled backwards at the knee, making me yell with pain. But it was much less the pain that so horribly frightened me than the flimsy, toneless giving-way of the knee and my absolute impotence to prevent or control it — and the apparent paralysis of the leg. Sacks asked himself, "OK, Doctor, would you kindly examine this leg?" So Dr. Sacks examined and proclaimed that the entire quadriceps had been torn away from the knee. In the process, he flexed the heel to the buttocks, causing Sacks the patient to scream in intense pain. Only after this detailed analysis did it dawn on Sacks that he might die, not so much from the injuries but from hypothermia, if he could not get down the mountain before nightfall to some shelter. He created a splint out of his umbrella, tearing strips from his jacket to attach the splint to immobilize his leg and prevent further injury as he moved himself down the mountain to safety. He took inventory as he started to move, "Three good limbs and the energy and strength to put up a good fight, including a leg to stand on." (Page 25) That included one leg to stand on, but for now that good leg could only act as a brake as he slid feet first down the muddy, slippery path. When his bad leg hit an obstruction, he screamed in pain, but quickly remembered the white bull and silenced himself. After two hours, he encountered a mountain stream with stepping stones that he had feared crossing on two good legs on the way up. He decided he could only cross by walking on his hands to keep his head above the frigid flowing water. He yelled at himself, "I'll kill you if you let go — and don't you forget it!" (Page 29) After crossing the stream, he struggled on down the path, using swimming motions, pulling his body over the muddy and rocky path while singing aloud the refrain of the Volga Boatman's song of Goethe, "Ohne Haste, Ohne Raste!" (Translated maintaining the Germanic rhythm: Without Hurry, Without Stopping! ), heaving his body downward with each beat of the song. Soon he felt a coordination set in with the rhythm of the song as he moved almost effortlessly. He could even notice and enjoy the sky above him triggering happy memories as he maneuvered down the slippery path. [page 33] An hour passed, and another, and another, under a glorious cloudless sky, the sun blazing pale-golden with a pure Arctic light. It was an afternoon of peculiar splendor, earth and air conspiring in beauty, radiant, tranquil, suffused in serenity. As the blue and golden hours passed, I continued steadily on my downward trek, which had become so smooth, so void of difficulties, that my mind could move free of the ties of the present. My mood changed again, although I was to realize this only later. Long-forgotten memories, all happy, came unbidden to my mind: memories, first, of summer afternoons, tinged with a sunniness which was also happiness and blessedness — sun-warmed afternoons with my family and friends, summer afternoons going back into earliest childhood. Hundreds of memories would pass through my mind, in the space between one boulder and the next, and yet each was rich, simple, ample, complete, and conveyed no sense of being hurried through. Later he realized his mood had been one of preparing for death, recalling what his friend W. H. Auden had said, "Let your last thinks all be thanks." It was getting dark and he as running out of hope when two reindeer hunters heard him moving, took him for a reindeer, and stalked him, only to discover a horizontal man crawling injured down the path. They asked him what happened and when his meager knowledge of Norwegian failed to reach them, Sacks drew a picture in the dirt of a bull, at which point the two hunters began to laugh, and Sacks along with them. He was alive, he had been rescued, and all was right in the world again. The hunters brought him to their small cabin and one of them went down to fetch help from the nearby village. 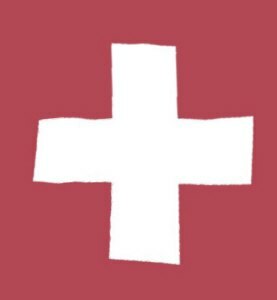 A group of villagers arrived and carried him down in a stretcher to the small hospital in Odda, from which he was to be moved to a larger hospital in Bergen, where he contacted his brother who arranged for him a later flight home to London for the quadriceps surgery. In the Bergen hospital a new cast was placed on the leg prior to his flight to London. Sacks awoke in bed with his leg swollen inside the cast with his mood was a black as ever, fearing he would never regain full use of his leg. Only an angel could help him recover a shred of hope, and miraculously one appeared in his room. Sacks rubbed his eyes thinking he was dreaming, but he wasn't, a vision in white had floated into his room. [page 43] A young man — dressed, preposterously, in a white coat, for some reason — came in dancing, very lightly and nimbly, and then pranced round the room and stopped before me, flexing and extending each leg to its maximum like a ballet dancer. Suddenly, startlingly, he leapt on top of my bedside table, and gave me a teasing elfin smile. Then he jumped down again, took my hands and wordlessly pressed them against the front of his thighs. There, on either side, I felt a neat scar. "Feel, yes?" he asked. "Me too. Both sides. Skiing . . . See!" And he made another Nijinski-like leap. The young man in white was a Norwegian surgeon who had a similar accident and was demonstrating the possibility of a complete recovery for Sacks. Doctors who do not think outside of their deeply ingrained medical procedures would never consider such behavior proper or useful — unless they read this. [page 44] Of all the doctors I had even seen, or was later to see, the image of this young Norwegian surgeon remains most vividly and affectionately in my mind, because in his own person he stood for health, valor, humor — and a most wonderful, active empathy for patients. He didn't talk like a textbook. He scarcely talked at all — he acted. He leapt and danced and showed me his wounds, showing me at the same time his perfect recovery. His visit made me feel immeasurably better. After the surgery, which went just fine, the challenges began for Sacks. 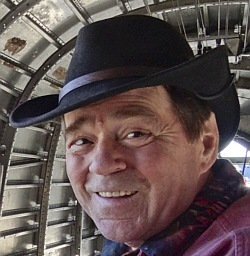 His surgeon, Dr. Swan, told him desultorily before surgery, "We reconnect it. Restore continuity. That's all there is to it." Ah, were it only so easy for the patient as it is for the surgeon. Miss Preston was Sacks physiotherapist, and when she went ballistic over the orthopedic surgeons knowing so little about the recovery portion of the operation for the patient, Sacks warmed up to her. 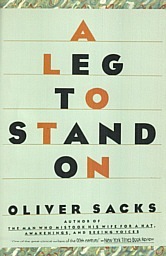 Sacks' inability to budge his repaired leg worried him intensely until he realized that his foot and toes worked fine which meant he had nerve connections down the length of his leg. Now the big problem arose: Sacks didn't believe he had a leg! When Nurse Sulu came in and found Sacks' left leg hanging out of the bed, she scolded him. Sacks replied, "Nonsense! My leg is right here, in front of me, right where it should be." Well, it wasn't, so he asked the nurse to return his leg to the bed and then a remarkable thing happened. [page 69] I waited for her to move it, but to my surprise she did nothing. Instead she bent over the bed, straightened up and started for the door. "Nurse Sulu!" I yelled — and it was her turn to be startled. "What's going on? I'm still waiting, please, for you to move my leg back!" She turned around, her almond-eyes wide with amazement. "Now you're joking, Dr. Sacks! I did move your leg back." Sacks lifted himself up with the monkey-bar and confirmed that she was correct. So he decided to do some tests with his eyes closed, to check for his "muscle sense" or "proprioception" sense as Sherrington called it. He was interrupted from his reverie by the nurse complaining that her arms were aching from moving his heavy leg with a cast all over the place. Sacks apologized and said he had felt nothing at all and was waiting for her to begin. Sacks had experienced some jamais vu — the complete loss of perception of his leg. He experimented by touching his flesh and reported, "The flesh between my fingers no longer seemed like flesh." It seemed like something completely apart from him. (Page 73) He began to feel like a functional amputee, an amputee with a leg still attached. This anosagnosia, the inability to recognize one's own body parts, was named by Babinski, a French neurologist, and Sacks remembered reading him. 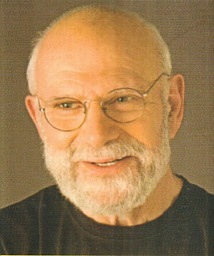 In fact, some fifteen years earlier, Sacks had was asked to interview a patient who kept falling on the floor every night. Sacks discovered he had been waking up in the middle of the night, seeing a strange thing in bed with him, and throwing it out of the bed. It was his own leg and he followed his leg onto the floor. Sacks confronted him, pointing to the man's left leg, saying if that's not your leg, where is your own left leg? The man replied, "I don't know. I have no idea. It's disappeared. It's gone. It's nowhere to be found. . ." (Page 78) This severe cognitive disturbance was one that Sacks was currently experiencing himself about his own left leg. Dr. Sacks the patient had a confrontation coming with Dr. Swan the surgeon. Apparently there was more to Sacks' recovery than just reconnecting the quadriceps to restore continuity, as Swan had so abruptly told him before the surgery. Swan declared the surgery successful, and yet Sacks was no closer to walking after the surgery than he had been before. His physiotherapist and his nurse knew it, but the good doctor did not. Surely he would listen and understand, Sacks thought. [page 93] In the thought of Swan's visit, his understanding, his reassurance, I was permitted, at last, a profound repose. I had had the most bizarre and alarming day of my life — more bizarre and alarming, in its way, than my day on the Mountain. For there my fears, though ultimate, were natural and real — I could and I did confront the thought of death. But what now confronted me was un-natural and un-real. There was perplexity here of a terrible kind. . . . But Swan would understand this, he would have encountered it before: I could depend on him to say the right thing. How often had I myself, as a physician, mysteriously stilled the apprehensions of my patients — not through knowledge, or skill, or expertise, but simply by listening. I could not give myself repose, I could not be physician to myself: but another could. Swan would, tomorrow. . . .
That tomorrow never came so long as Sacks was Swan's patient. Only after Sacks had completely recovered the use of his leg was he able to express his feelings, concerns, and suggestions to Swan, doctor to doctor. Typical of Sacks' problems was a powerful dream he had one night involving a war in which people feared a Derealization Bomb might be used. [page 95, 96] We were at war — with whom, and why, was never too clear. What was clear, or on everyone's lips, was the fear that the Enemy had an Ultimate Weapon, a so-called Derealization Bomb. It could, so it was whispered, blow a hole in reality. Ordinary weapons only destroyed matter extended through a certain space: this destroyed thought, and thought-space itself. None of us knew what to think or expect, since, we had been told, the effect was unthinkable. [page 99] "Why, this is what's going on with the leg! What I am experiencing with half my visual field is essentially similar to what I am experiencing with my leg. I have lost the 'field' for my leg precisely as I have lost part of my visual field." In the Grand Rounds, Dr. Swan came around to see Sacks accompanied by a cast of junior physicians, but the event was like the Grand and Glorious Wizard of Oz visiting Sacks, like a Grand Know-Nothing visiting what he considered to be his Know-Nothing patient. [page 104, 105] Swan neither looked at me nor greeted me, but took the chart which hung at the foot of my bed and looked at it closely. "Well, Sister," he said, "and how is the patient now?" "No fever, now, Sir," she answered. "We took the catheter out on Wednesday. He is taking food by mouth. There is no swelling of the foot." "Sounds fine," said Mr. Swan, and then turned to me, or, rather, to the cast before me. He rapped it sharply with his knuckles. "Well, Sacks," he said. "How does the leg seem today?" "It seems fine, Sir," I replied, "surgically speaking." "What do you mean — 'surgically speaking'?" he said. "Well, umm — " I looked at Sister, but her face was stony. "There's not much pain, and — er — there's no swelling of the foot." "Splendid," he said, obviously relieved. "No problems then, I take it?" "Well, just one." Swan looked severe, and I started to stammer. "It's . . . it's . . . I don't seem to be able to contract the quadriceps . . . and, er . . . the muscle doesn't seem to have any tone. And . . . and . . . I have difficulty locating the position of the leg." I had a feeling that Swan looked frightened for a moment, but it was so momentary, so fugitive, that I could not be sure. "Nonsense, Sacks," he said sharply and decisively. "There's nothing the matter. Nothing at all. Nothing to be worried about. Nothing at all!" He held up his hand, like a policeman halting traffic. "You're completely mistaken." he said with finality. "There's nothing wrong with the leg. You understand that, don't you?" With a brusque and, it seemed to me, irritable movement, he made for the door, his Juniors parting deferentially before him. Like Dorothy in Oz, Sacks cowered before the Grand Poobah, and Swan blithely swam away, on to more important matters than someone who can't locate his own leg. Sacks asked the nurse to have Swan's assistant, the Registrar, to come by after the Rounds. But Sacks was met with the same kind of stonewalling, "not-my-problem" attitude from the Registrar. By documenting in detail the response Sacks got from the highly trained medical specialists, he did two things: 1) Ensured that orthopedic surgeons thereafter will listen to patients and assist them in getting through the scotoma problems post-surgery. And 2) Sacks himself learned how important it is for such patients to have someone to talk to who will listen and offer understanding, encouragement, and hope for their complete recovery. "Well, Sacks," he snorted. What's the matter now? Haven't you been told there is nothing the matter? Are you critical of the surgery or post-operative care?" "Not at all," I replied. "Both seem exemplary." "What is the matter then?" "The leg doesn't feel right." "This is very vague and subjective. Not the sort of thing we can be concerned with. We orthopods are really carpenters, in a way. We are called in to do a job. We do it. And that's that." "Since you speak of carpentry," I replied, "That's just what it feels like. Carpentry would suffice if it were a wooden leg. And this is exactly how the leg feels — wooden, not like flesh, not alive, not mine." "Sacks, you're unique," the Registrar said. "I've never heard anything like this from a patient before." "I can't be unique," I said, with anger, and rising panic. "I must be constituted the same way as everyone else! Perhaps (my anger was getting the better of me now), perhaps you don't listen to what patients say, perhaps you're not interested in the experiences they have." "No, indeed, I can't waste time with 'experiences' like this. I'm a practical man, I have work to do. Experience aside then, the leg doesn't work. That's, not my business." "Then whose business is it? Specifically, there is something physiologically the matter. What about a neurological opinion, nerve-conduction tests, EMGs. etc.?" He turned away and gave me no answer(1). When the famous cartoonist Al Capp had his leg severed by a trolley at age nine, he was fitted with an actual wooden leg, and then was sent to a home for retarded boys, even though there was nothing wrong with his mind, only his leg(2). No doctor would treat an amputee as a retard these days, but Sacks was treated as a retard by esteemed doctors when he explained to them that he felt like an amputee with a leg still attached! When the doctor said, "That's not my business" above, I recalled a comedy album from the 1960s about a doctor who said, "It's not my job to eliminate pain, but to minimize pain. I tell my back surgery patients post-surgery, 'There, that doesn't hurt, does it? Be Big Boy! Stand up straight!'" What the comedian's doctor did was not much different from what Dr. Swan and his Registrar did to Sacks: they minimized Sacks' psychic pain and ignored his very real problems. They defenestrated Sacks into darkness, into nothingness, into the limbo he describes so fully in Chapter 3. It would be funny if it were not so tragic an indictment of the arrogance of doctors today. When the etheric or life body of a person's leg leaves it after an accident it feels lifeless. When this spiritual body returns, the leg feels like a bit of heaven has returned to it, even if it arrives in lightning like flashes of pain. Sacks wrote in his diary, "What on earth goes on?" when these flashes occurred, but it Would have been more descriptive if he had written, "What in heaven is going on?" He was cheered because it was the first signs of life in his leg since he had entered the hospital. Humans who are heavily injured often go into comas during recovery, and doctors often induce comas for that reason as it aids recovery and eases the concerns of the patient. Friends of the coma patient may think, "It almost like he's not there." Exactly how Sacks felt about his "wooden leg" during recovery. Perhaps Sacks leg went into the limb-equivalent of a coma while recovering its function. These flashes of pain were signs of the leg coming out of its self-induced coma. During his period in Limbo, Sacks yearned for music, but the radio reception in his room was terrible. Finally a friend brought him a tape recorder with one cassette of Mendelssohn's Violin Concerto. Not a fan of that composer, but it was still music, and Sacks played it, over and over and over again. It became a balm for his soul and a key component of his later recovery. [page 119] The music seemed passionately, wonderfully, quiveringly alive — and conveyed to me a sweet feeling of life. I felt, with the first bars of the music, a hope and an intimation that life would return to my leg — that it would be stirred, and stir, with original movement, and recollect or recreate its forgotten motor melody. I felt — how inadequate words are for feelings of this sort! — I felt, in those first heavenly bars of music, as if the animating and creative principle of the whole world was revealed, that life itself was music, or consubstantial with music; that our living moving flesh, itself, was "solid" music — music made fleshy, substantial, corporeal. In some intense, passionate, almost mystical sense, I felt that music, indeed, might be the cure to my problems — or, at least, a key of an indispensable sort. After Sacks gets his cast taken off once more, for the umpteenth time, he sees his leg again, but it still doesn't feel like his leg, just some waxen counterfeit of a leg. The next step in the casting room is for the nurse to remove the long row of stitches from his leg before they add a new, lighter cast. She tells him it may hurt, and begins fiddling around with his leg and Sacks figured she was doing some preparations to remove the stitches. He finally looks at the nurse and asks her, "You going to start now?" He was flabbergasted at her reply. [page 126] She looked at me in astonishment. "Start!" she exclaimed. "Why, I just finished! I took out all the stitches. I must say. you were very good. You lay quiet as a lamb. You must be very stoical. Did it hurt much?" "No," I answered. "It didn't hurt at all. And I wasn't being brave. I didn't feel you at all. I had no sensation whatever when you pulled the stitches out." I omitted to say, because I thought it would sound too strange, that I had entirely failed to realize that she was taking them out, indeed that I had failed to make any sense of her activity whatever, or to see it as having any sense or relation to me, so that I had mistaken all her motions as meaningless "fiddling." But I was taken aback, confounded, by the business. It brought home to me once more how estranged the leg was, how "alien," how "exiled" from myself. To think that I could have seen Sister making all the characteristic motions of snipping and pulling out stitches, but was only able to imagine she was "warming up" in readiness for the "real thing"! Her activity had seemed meaningless and unreal, presumably, because the leg felt meaningless and unreal. And because the leg felt senseless, in all senses of senseless, absolutely senseless and unrelated to me so had her motions which had been related to it. As the leg was merely a semblance, so her motions, her taking-out stitches, seemed merely a semblance. Both had been reduced to meaningless semblance. Sacks is surprised when he first gets his leg to move, and learns from it the act of will which, rightly understood, activates all of our limbs. We don't consciously decide to scratch our nose, it itches, and our hand rises to scratch it. A mosquito lands on my neck and my hand rises and swats it. During Sacks' early recovery of leg movement, the spontaneous movement by his will fails when later he tries consciously to demonstrate the movement to the nurse. He is showing us how the will precedes the conscious execution of the will. Only after the will is working on a limb can we consciously will its working. We simply don't know how to connect conscious volition with the unconscious will, but over time it connects for Sacks as it did for each of us as an early toddler. [page 129] When I awoke I had an odd impulse to flex my left leg, and in that self-same moment immediately did so! Here was a movement previously impossible, one which involved active contraction of the whole quad — a movement hitherto impossible and unthinkable. And yet, in a trice, I had thought it, and done it. There was no cogitation, no preparation, no deliberation, whatever; there was no "trying"; I had the impulse, flash-like — and flash-like I acted. The idea, the impulse, the action, were all one — I could not say which came first, they all came together. I suddenly "recollected" how to move the leg, and in the instant of recollection I actually did it. The knowing-what-to-do had no theoretical quality whatever — it was entirely practical, immediate — and compelling. It came to me suddenly and spontaneously — out of the blue. Soon these movements arose more and more frequently; where previously Sacks could not will movement of his leg, now movements were happening un-willed, on their own. What was a scotoma of willed movement became a plethora of un-willed movement. [page 133] An accident of physiology, an injury, had deprived me of will — specifically and solely in relation to the injured limb; and now another accident of physiology, the sparks of returning innervation, were to rekindle will in this limb. First I was will-less, unable to command; then I was willed, or commanded, like a puppet; and now, finally, I could take over the reins of command, and say "I will" (or "I won't") with full truth and conviction, albeit in the single matter of moving my leg. Walking, well, that is another matter. Sacks had to be forced to rise, to stand, and to walk, and every step was an adventure into the unknown for him and his recovering leg. On page 135, he asks the eponymous question, "How could I walk without a leg to stand on?" Walking is a spontaneous matter and one cannot command a spontaneous action. Paul Watzlawick pointed that out most succinctly to me in his books and called such an attempt a "Be Spontaneous Paradox". I have uncovered many such BSP's over the decades since I first read Watzlawick's works(3), and found it a most useful concept. It explains why one should never tell a child to "Go to sleep", e.g., because sleep can only come spontaneously, never under command. One does best to turn off the lights in the child's room and say something like, "Be quiet and you can stay awake as long as you like." Photographers rarely say, "Smile" because they know that natural smiling can only come spontaneously, never on command. So they say and do something unexpected to evoke a natural smile. Lovers should know that "Tell me you love me" is a great way to destroy the natural feeling of love. You can probably think of many other examples of BSP's, too, but until I read Sacks in this book, the idea of walking becoming a BSP never occurred to me. [page 135] Had ever I faced a more paradoxical situation? How could I stand, without a leg to stand on? How could I walk when I lacked legs to walk with? How could I act, when the instrument of action had been reduced to an inert, immobile, lifeless, white thing? Sacks recalled A. R. Luria's The Man with a Shattered World, especially how the man had forgotten how to write, but by systematically forcing himself to make block letters, the way children learn to write, suddenly he found himself writing spontaneously, without thinking. This became an Aha! Moment for Sacks. [page 136] Spontaneously! Spontaneously, yes that was the answer. Something spontaneous must happen — or nothing would happen at all. A solution, yes, Sacks found an answer, but implementing a solution created a Be Spontaneous Paradox, even for him to take his first step. He told the therapist, "I can't move. I can't think how to. I have no idea whatever how to take the first step." (Page 142) He could flex his hip in bed, but not standing up. What finally worked was the therapist pushed his leg forward for him and he saw how to do it, how to flex his hip so his leg move forward. It was not spontaneous, but made connection with some spontaneous process in him and allowed him to take carefully calculated steps with one good leg and the other a clumsy cast-covered cylinder, but only while looking at his feet, similar to how Luria's patient made his first writing steps, slowly, carefully, one letter at a time. Suddenly Mendelssohn came to his aid. [page 144, 145] "This is walking?" I said to myself, and then, with a qualm of terror: "Is this what I will have to put up with for the rest of my life? Will I never get back the feel of true walking? Will I never again know a walking which is natural, spontaneous, and free? Will I be forced, from now on, to think out each move? Must everything be so complex — can't it be simple?" And suddenly — into the silence, the silent twittering of motionless frozen images — came music, glorious music, Mendelssohn, fortissimo! Joy, life, intoxicating movement! And, as suddenly, without thinking, without intending whatever, I found myself walking, easily-joyfully, with the music. And, as suddenly, in the moment that this inner music started, the Mendelssohn which had been summoned and hallucinated by my soul, and in the very moment that my "motor" music, my kinetic melody, my walking, came back — in this self-same moment the leg came back. Suddenly, with no warning, no transition whatever, the leg felt alive, and real, and mine, its moment of actualization precisely consonant with the spontaneous quickening, walking and music. I was just turning back from the corridor to my room — when out of the blue this miracle occurred — the music, the walking, the actualization, all one. And now, as suddenly, I was absolutely certain — I believed in my leg, I knew how to walk. . . I said to the physiotherapists: "Something extraordinary has just occurred. I can walk now. Let me go — but you had better stand by!" And walk I did — despite weakness, despite the cast, despite crutches, despite everything — easily, automatically, spontaneously, melodiously, with a return of my own personal melody, which was somehow elicited by, and attuned to, the Mendelssohnian melody. I walked with style — with a style which was inimitably my own. Those who saw this echoed my own feelings. They said: "You walked mechanically, like a robot before — now you walk like a person — like yourself, in fact." Sacks was deliriously happy. His leg was back! Even though his leg was still covered with a light cast, it was back. He spoke to his leg as if it were an old friend newly arrived back in town after a long absence. [page 152] "You dear old thing, you sweet thing," I found myself saying. "You've come back, you're real, you're part of me now." Its reality, its presence, its dearness, were all one. I gazed at it in a sort of bliss, filled with the sense of intense physicality, but a physicality radiant and almost supernatural — no longer an uncanny, ghastly-ghostly dough, but "the holy and glorious flesh" restored. I felt aflame with amazement, gratitude, joy — aflame with love, worship, praise. During his convalescence period, Sacks had one more lesson to learn: how to use his left knee again. If he tried to flex his knee while walking, it felt uncomfortable and he stumbled, so he avoided using it. Some trick to overcome his Be Spontaneous Paradox would be required, and his physiotherapist was up for the task. [page 192] "Why do you walk as if there were no knee? It is partly habit — this is how you walked with the cast — partly, I think, because you have 'forgotten' your knee, and can't imagine what using it is like." "I know," I said. "I feel that myself. But I can't seem to use it in a deliberate way. Whenever I try, it feels awkward. I stumble." He thought for a moment. "What do you like doing?" he continued. "What comes to you naturally? What is your favorite physical activity?" "Swimming," I answered, with no hesitation. "Good," he said. "I have an idea." There was a half-smile, somewhat impish, on his face. "I think your best plan is to go for a swim. Will you excuse me for a minute? I have a phone call to make." This is the point in a magic act where the Magician places a cloth or a curtain over some container, says a Magic Incantation, and as he does, something off stage is activated, some Deus ex Machina perhaps, and then magic happens. [page 193] He came back in a minute, the smile more pronounced. "A taxi will be here in five minutes," he said. "It will take you to a pool. I'll see you at the same time tomorrow." The taxi arrived, and took me to the Seymour Hall Baths. I rented a towel and trunks, and advanced tremblingly to the side. There was a young lifeguard there, lounging by the diving board, who looked at me quizzically and said, "Why, what's the matter?" "I've been told I ought to take a swim," I said. "The doctor told me, but I'm disabled. I've had surgery, I'm sort of scared." The lifeguard unwound himself, slowly, languidly, leaned towards me, looked mischievous and suddenly said "Race you! ", at the same time taking my stick with his right hand and pushing me in with his left. I was in the water, outraged, before I knew what had happened — and then the impertinence, the provocation, had their effect. I am a good swimmer — a "natural" — and have been since childhood — from infancy, indeed, for my father, a swimming-champ, had thrown us in at six months, when swimming is instinctual and doesn't have to be learnt. I felt challenged by the lifeguard. By God, I'd show him! Provocatively he stayed just a little in front of me, but I kept up a fast crawl for four Olympic lengths, and only stopped then because he yelled "Enough!" I got out of the pool — and found I walked normally. The knee was now working, it had "come back" completely. When Sacks returned to the Magician the next day, he was greeted by a big laugh. The physical therapist said "Splendid!" He then explained to Sacks that the swimming trick works for dogs as well, it was how he discovered the trick. I have seen dogs walking on three legs, holding the fourth leg up as if it's unmovable. This therapist told about having a dog with a healed bum leg, but who never used it. Until one day he took the dog far out into the sea, let her go, and watched his dog paddle back to shore, after which, the dog used all four legs again. The Magic Act we have just witnessed during the extent of this book is over, the act of Sacks losing his left leg and recovering his leg is over, the curtain has fallen, the applause has ended, and we are left breathless by the events which we have just witnessed. We have learned how the human being learns to do detailed physical tasks from a Master Magician who lost the functions of his leg, and through a long, torturous, and tortured path, marshaled, with help, his leg back to complete and spontaneous functioning. And this Magician, like the Wizard of Oz, took us behind the curtain to show us how the Magic worked, allowing each of us to perform such magical tricks in our own lives from now on. 1. It was only four years later that I [Sacks] was put through nerve-conduction tests, electromyograms, and so forth. These showed that there was still quite severe denervation of the quadriceps, and marked impairment of the conduction of the femoral nerve which supplies it. At the time of my "alienation," my scotoma, these impairments must have been profound — or absolute. Footnote 2. See My Well Balanced Life on a Wooden Leg by Al Capp. Footnote 3. The Situation is Hopeless, Not Serious is a good place to begin reading Watzlawick's works; it is where he unveils his Be Spontaneous Paradox as a powerful tool in field of psychotherapy.